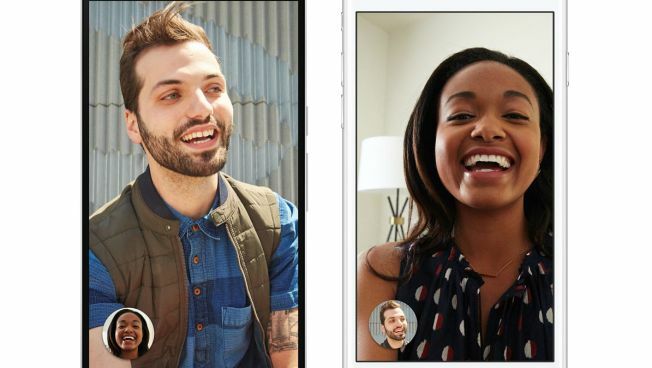 This image provided by Google shows its video chatting app on mobile devices. The app, dubbed Duo, represents Google's response to other popular video calling options, including Apple's FaceTime, Microsoft's Skype and Facebook's Messenger app. The new app, announced in May, is being released Tuesday as a free service for phones running on Google's Android operating system as well as Apple's iPhones. Like FaceTime for iPhones, Duo only requires a person's phone number to connect. Many other services require both participants to have account logins to use their video calling options.